Do you know bulgur? It is a cracked and partially pre-cooked whole wheat grain and therefore high-fiber wheat food. 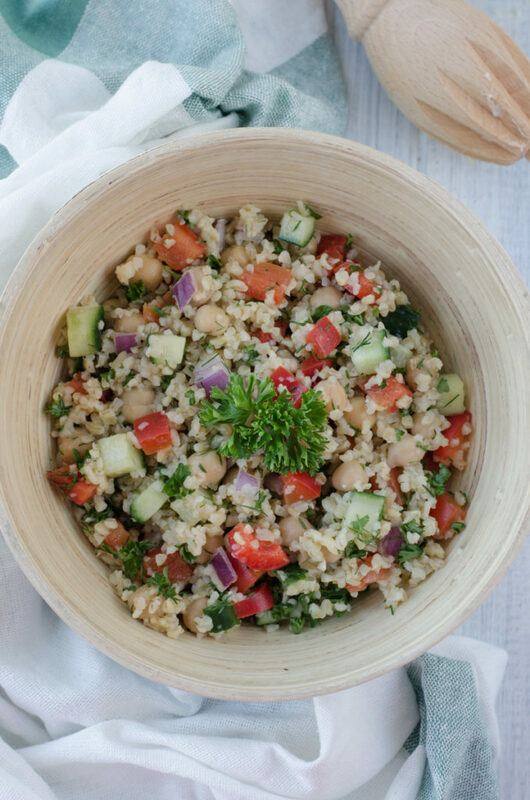 Bulgur is also a low-fat and gluten-free ingredient, suitable for preparation of various salads, such as this one. 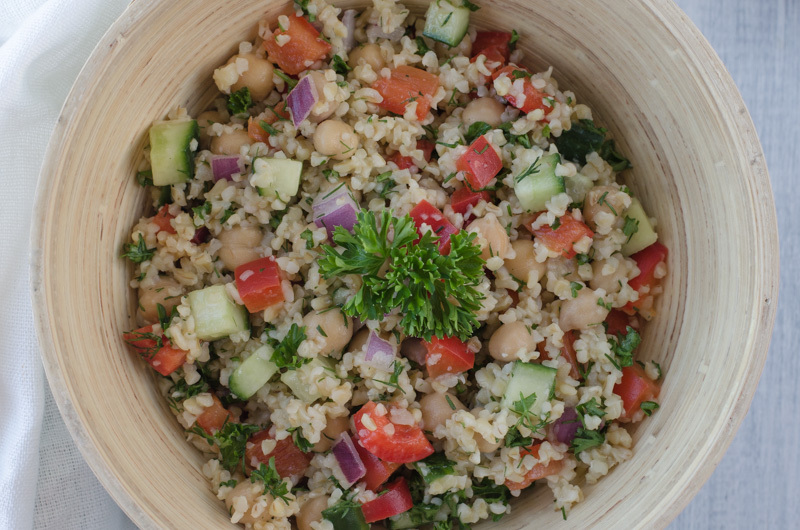 Light bulgur salad with cucumber, red pepper, chickpeas, and onion, seasoned with olive oil, garlic, lemon juice, and herbs is a fresh summer meal that reminds the cuisine de Middle East, especially Lebanese or Turkish where bulgur is used a lot. The taste of bulgur as such is not remarkable, but if you add crispy veggies such as red pepper, cucumber and onion, a protein in the form of chickpea, and season with the lemon juice, olive oil, and a bit of garlic, dill and parsley, you can create a meal full of mixture of tastes. 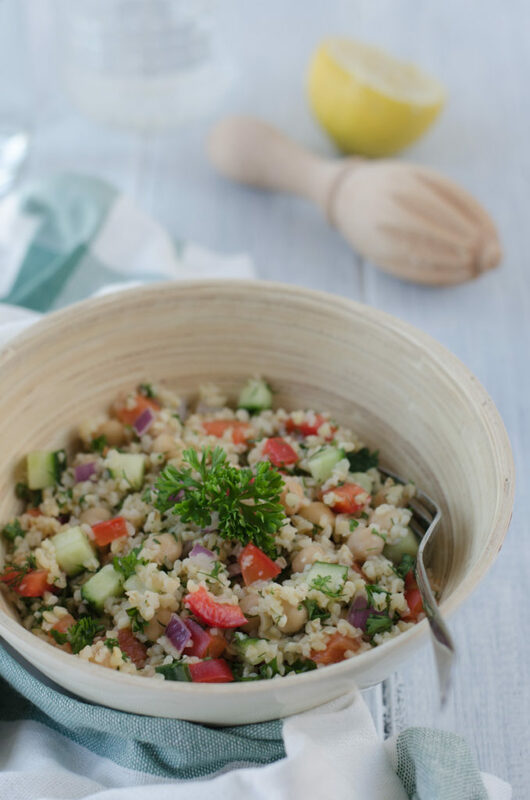 You can serve this bulgur salad as a main course, as a side dish at a barbeque and other get together events, or you can easily prepare it in small portions and enjoy it with friends in small portions at a walking dinner. There are plenty of options how to enjoy bulgur! Bulgur salad is relatively easy to prepare. Bulgur is being usually done by just pouring a boiling water over it and leave it swell for few minutes. The only things that may pose you problems is the fact that you first need to chop the vegetables and herbs. If you don’t like the strong flavour of onion, leave it soaked in a cold water for 15 minutes as this way the onion taste becomes mild. Once all prepared, bulgur cooled down, you mix all ingredients together and season. 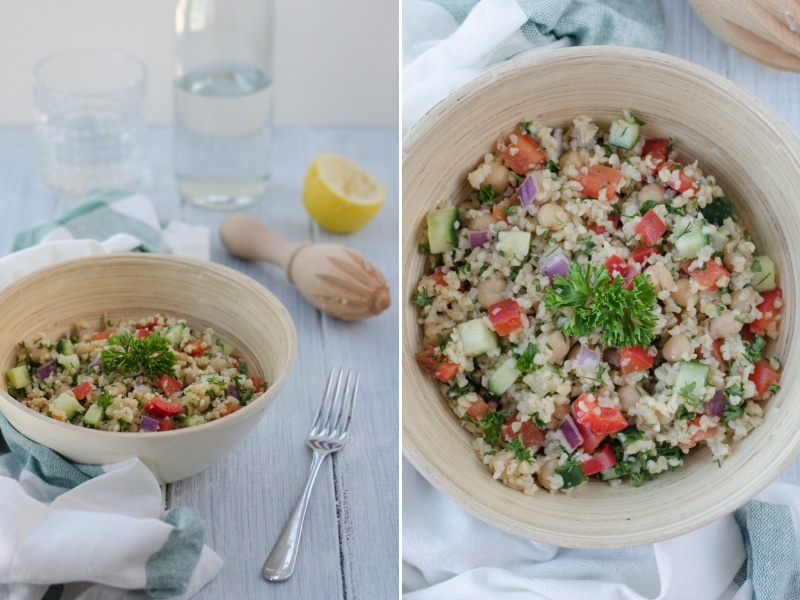 Light and fresh bulgur salad that is a great summer dish or side. Prepare the bulgur according to the instructions on the package. Usually pour 1 1/4 cup of boiling water over the dry bulgur with 1/2 stp. salt, then leave it soak for few minutes, until it absorbs all the water. Allow cool down. Chop the raw onion and place in a bowl with cold water for 15 minutes (this will soften the strong taste of the onion, so if you don´t mind the taste of raw onion). In the meantime, chop finely the garlic clove and set aside. Chop the cucumber and red pepper in small cubes, set aside. Juice the lemon and chop dill and persil, set aside. After 15 minutes, drain the onion and set aside. 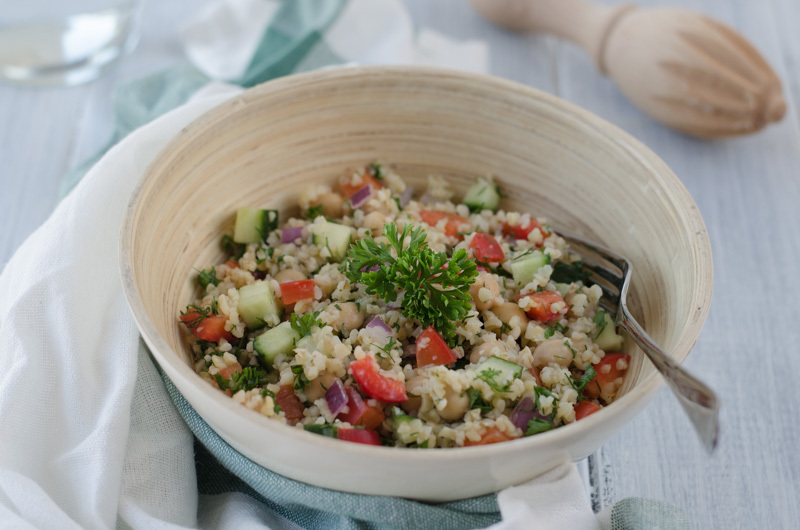 Put the cooled and drained bulgur into a large salad bowl, add the cucumber, red pepper, chickpea, onion, garlic, lemon juice, dill and persil, add the olive oil. Season with a teaspoon of salt, black pepper, cumin and sugar. Do you like bulgur? Do you eat it often? What is your favorite way of eating it? Have you tried the recipe? Please do let me know how it turned out – you can do that either via leaving a comment below or sharing your picture on Instagram using the hashtag #1001voyagesgourmands !